Congratulations!!! Now that you are ready to move your relationship to the next beautiful level with the right woman, it’s time to choose your engagement ring. We understand that you don’t want the best. Before you even start thinking engagement rings, you should be figuring out your budget. 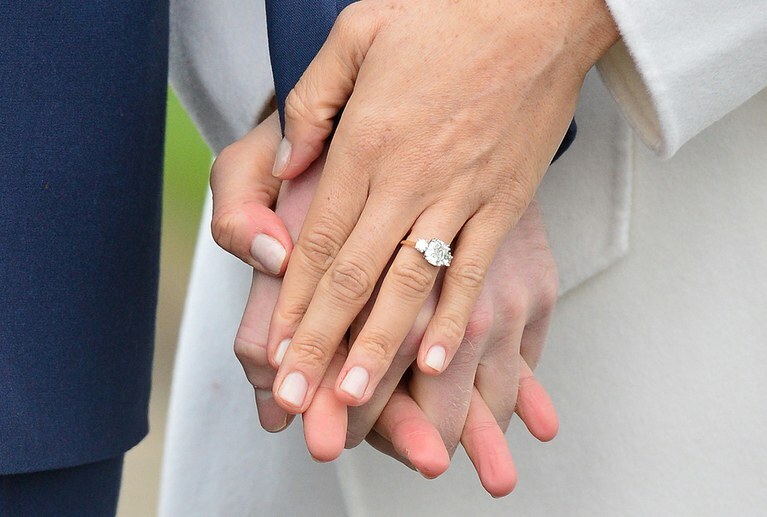 How much can you spend on an engagement ring? Remember there will be a wedding in the near future so you don’t want to spend all your money on one ring. You should also know that most jewelers are willing to negotiate on their prices so don’t forget to haggle. Trust me; you don’t want your fiancé to feel embarrassed if the ring is smaller than her size. Or even bigger. So, this might be a bit tricky if you plan on giving your future half a surprise. One thing you can do is sneak into her jewelry box and steal a ring. Choose one she wears often. Sneak it back in quickly before she notices it gone. Ring sizes are adjustable later on so if you have gotten the wrong size, don’t worry. Getting the right style can earn you great brownie points later on. If you really want to wow her with your choice, understand her style. Get an accomplice in her good friends. Or you can figure it out yourself if you know something about ring styles. Ask yourself a few questions: Does she like classic or modern? Is her style understated or jazzy? Does she like gold or platinum? Cut: A cut determines how good the diamond sparkles. Too deep or too shallow lack the lustrous sparkle of a good cut. Color: A diamond’s color is rated from D to Z. With D being colorless and the best quality and Z is light yellow and the poorest quality. The lighter the color of the diamond, the higher the quality with the exception of rare colors like red or blue. Clarity: When buying a diamond, talk about its clarity. A good quality diamond will contain very few inclusions. Carat: It goes without saying that a higher carat will mean a higher price for your diamond. Keep in mind, lab created diamonds are made using the same process natural diamonds are made only in a lab versus the Earth. You can get more for your money if you snag a lab created diamond. Read more: Where can you buy lab diamonds? Whatever the shape of the diamond you chose depends on your preference and that of your girlfriend. There are quite a few shapes to choose from oval, round, pear, princess, and heart. The last thing to consider is the setting of the diamond. This means how the diamond is position on your ring. Again, there are quite settings to choose from: Tiffany, Channel, Eternity, Pave and Bezel.